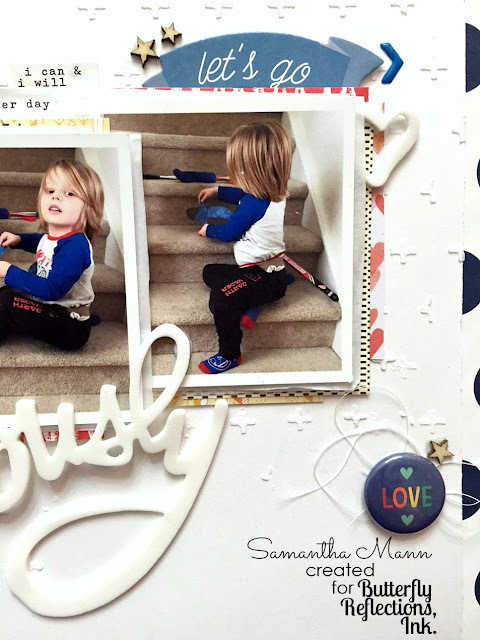 Samantha here, and today I'm sharing a cute layout of my little Mann! 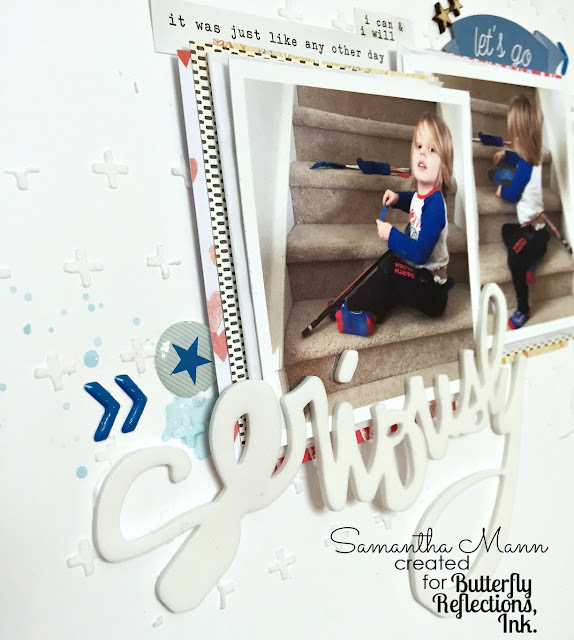 I used some embossing paste in white and a plus sign stencil to create some texture on the background! Once it was dry, I added just a tiny bit of watercolor in Tumbled Glass Distress Ink! I layered my photos with various papers from my 6x6 paper pad collection (it's quite large)! Ha! I embellished with Create a Smile enamel shapes and Carpe Diem word phrases! 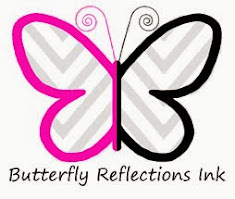 The title is a cute, handwritten-type Thicker from Amy Tangerine! So that's it! I totally loved making this layout! Those photos crack me up! My little Mann was sitting on our steps (we called it the penalty box), and he was 'wrapping his hockey stick!" Ha ha! Except, it was a play hockey stick, and the tape was painters tape! He's got such a perfect imagination! Thanks for hanging out with me a little toady! Children's imagination is wonderful & captured wonderfully in this layout & photo. Have a Bee-utiful day! love the embossing paste in the background. subtle and cool effect!